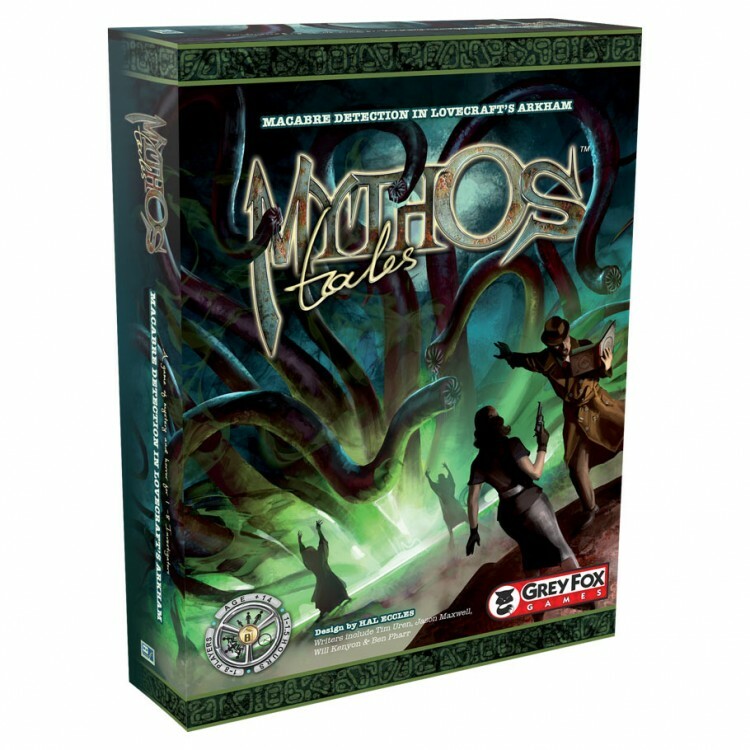 Mythos Tales is a story-based deduction game set on H.P. Lovecraft's Arkham in the 1920s. 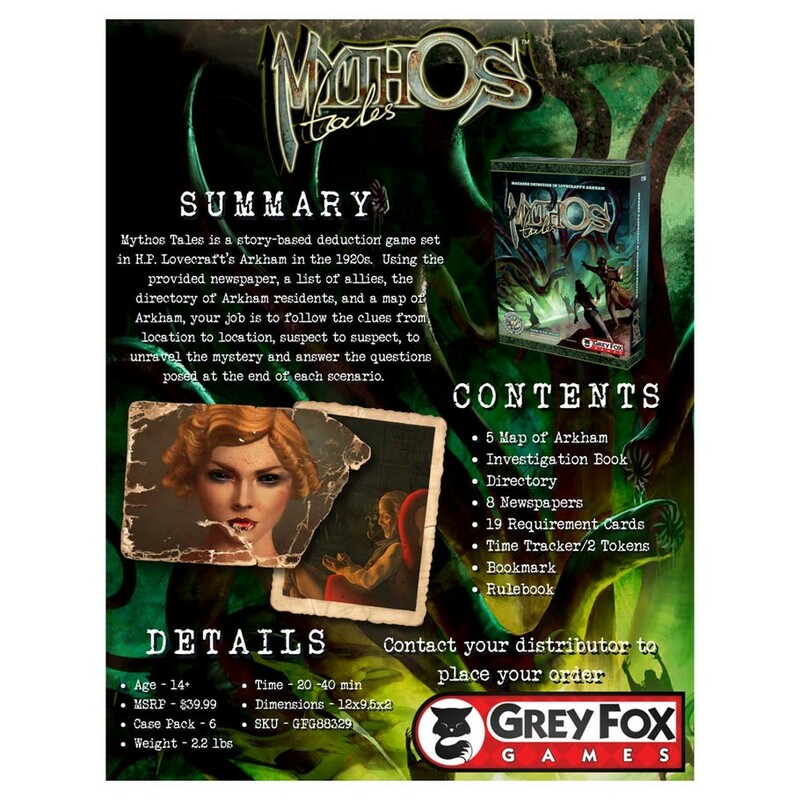 Using the provided newspaper, al list of allies, the directory of Arkham residents, and a map of Arkham, your job is to follow the clues from location to location, suspect to suspect, to unravel the mystery and answer the questions posed at the end of each scenario.